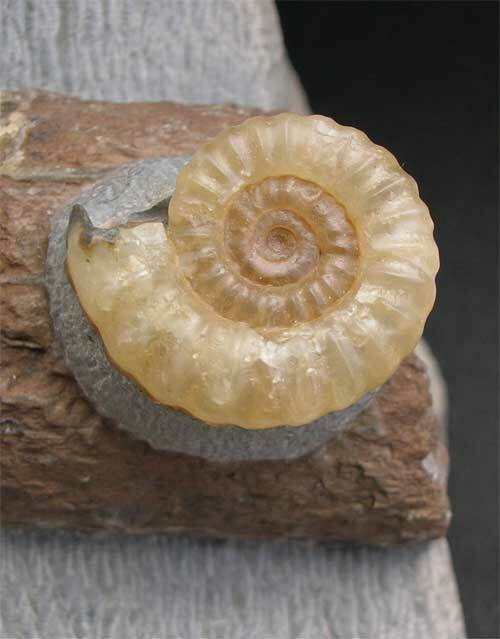 A really beautiful example of a fossil branch with a pale yellow promicroceras ammonite at one end. 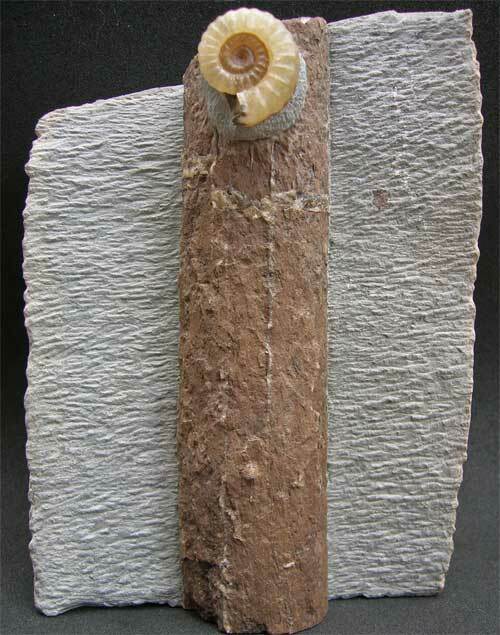 The wood and ammonite have been developed from a woodstone nodule from this world heritage locality. Many hours of preparation go into special fossils such as this one. 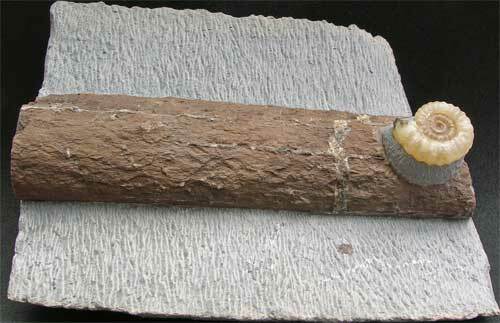 The specimen is approximately 200 million years old. 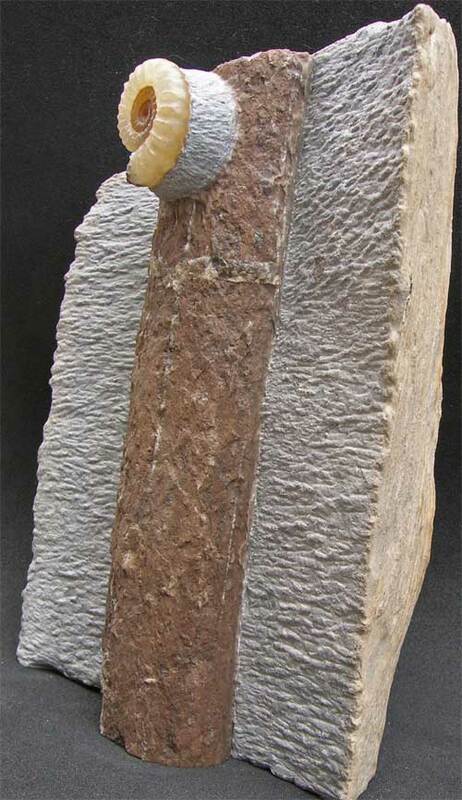 Fossils like this one make wonderful display pieces. The matrix has a cut base. Prepared by Andy Cowap.